We also have a great sponsor for you! Very pretty card! Thanks for joining us at Tuesday Morning Sketches. Your card is lovely! Beautiful lace background! Thank you for using SPCC colors. Love your take on the sketch. Thanks for joining us at Oh, Alice. אכן כרטיס אביבי ,פרחוני ומלא פרפרים-אהבתי ! So very pretty! The papers are so beautiful. Thanks so much for playing in the Makeup for the Weekend challenge. אח, אח, אח! איזה כרטיס מתוק ויפהפה! נותן תחושה של רון בלב! Very pretty! Thanks for joining us at Oh, Alice! So springy and fun! Thanks for playing along with the Cupcake Inspiration Challenge! Beautiful card! Love the lace and butterflies. I love your lace and the butterflies are wonderful. Very pretty! Love the butterflies and flower! 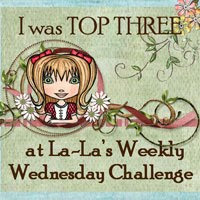 Thanks for playing our Makeup 4 the Weekend PMS challenge! I love the lace on this card! Gorgeous and super feminine! Thanks for playing with us at PMS Makeup for the Weekend! Beautiful! 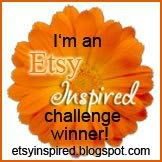 Thanks so much for playing along with us at La La Land Crafts! Very pretty! Great job! Thanks for playing at SPCC this week! Awwwww... what a wonderful card!!! Great layering! 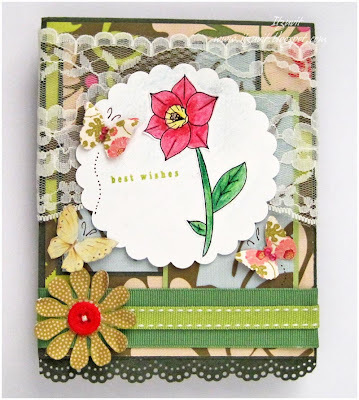 So glad you could join us for the Stamp Something challenge. Such pretty colors and papers. Sweet little butterfly too! Terrific take on the butterfly challenge. 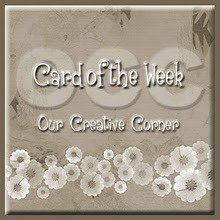 So happy you could have some fun with Our Creative Corner this week. very pretty, thanks so much for playing along with HFOS. gorgeous car! i love the folds!Thanks for joining us at Cupcake!